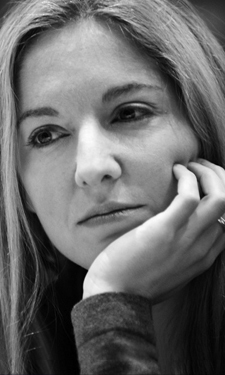 Victoria Coren Mitchell - Blog - Tonight’s Heresy: Do jailhouses rock? Tonight’s Heresy: Do jailhouses rock? I think at least two of those wisdoms (possibly all three) were suggested by posters on this blog - indeed, one of them was one of the two Champagne-winning prize suggestions (the other winner’s topic comes up next week…) - so thanks very much and hope you enjoy hearing them thrashed out! One of my Champagne-winning topic (about customer service) has already been “trashed out”, and I loved it. But I have since changed my mind about it. I was living in France when I wrote it, and I genuinely believed that you don’t want people to pretend they enjoy an obviously boring job. But since then, I’ve moved to London and this morning I witnessed something that I had never seen before: a bank cashier smiling and being very welcoming and helpful (and I don’t even have much on my account). And I have to say it was lovely! So, no more heresy: just smile and pretend everything is great in the World. It won’t be sincere or honest at all but at least it is nice to see. By the way, how fucked up is my life that the most heartwarming moment of my day has to come from a cashier ... Great! I love Heresy. Well chosen guests – witty and intelligent. Your links, the way you bring in the audience and the guests, makes it flow so well. It is very funny but this doesn’t detract from serious points made in the debate. Is there another series planned ? Small but annoying - BBC iplayer site fails to match guests with correct episode and can’t spell your name. Hi Jan, thanks for your nice post. No, there hasn’t been much feedback about last week’s (there was more from the week before) - but generally people haven’t been using this site to thrash out the issues raised… Maybe we’re just too persuasive and they have no argument left to make! No new series planned at the moment, it’s something Radio Four would usually approach about much nearer the time. If we did another one, I’m sure it wouldn’t be til next year. One more episode to go, though, and I think it’ll be a good one. PS. Annoying about iPlayer. I think it may now have been changed. I was walking around the Swiss Cottage area in London where I just moved and saw a leaflet with your name on it, to promote the art week organized by St Peter’s Church. I entered the Church and met a lovely churchwarden, and I don’t really know how it all happened, but I ended up volunteering to help and organize this art festival. What a weird effect your name had: I don’t think I have been to a Sunday service for about 15 years, and here I am spending my week in a church, surrounded by members of the parish, seriously considering going to next Sunday’s service, and basically having a great time. Let’s now hope that the sun will shine on Saturday, and very much looking forward to seeing you there. BBC spelt your name wrongly. Tell them off.